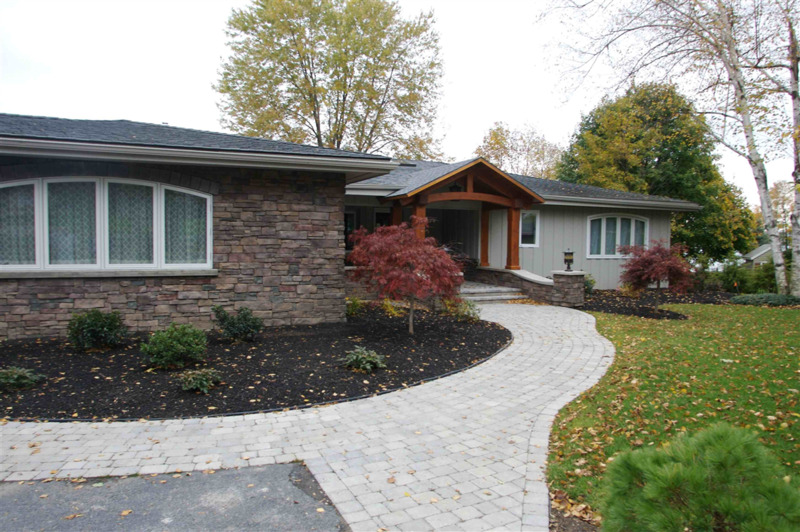 View our Featured Projects below and click on the galleries to your right to view hundreds of photos of our work. Swinging patio doors, fixed paneled windows and arch top widows make up this stunning wall of windows. 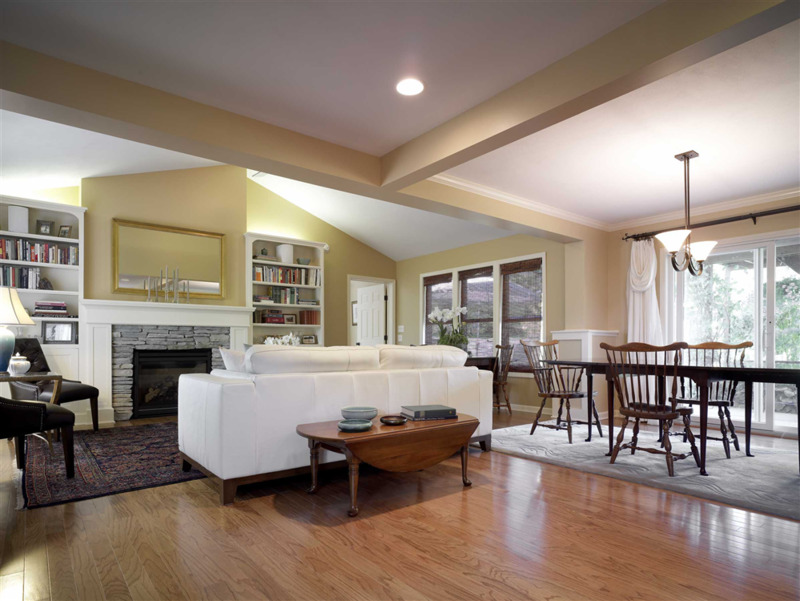 Double hung windows can be seen in the rear sitting room with fixed transoms above. 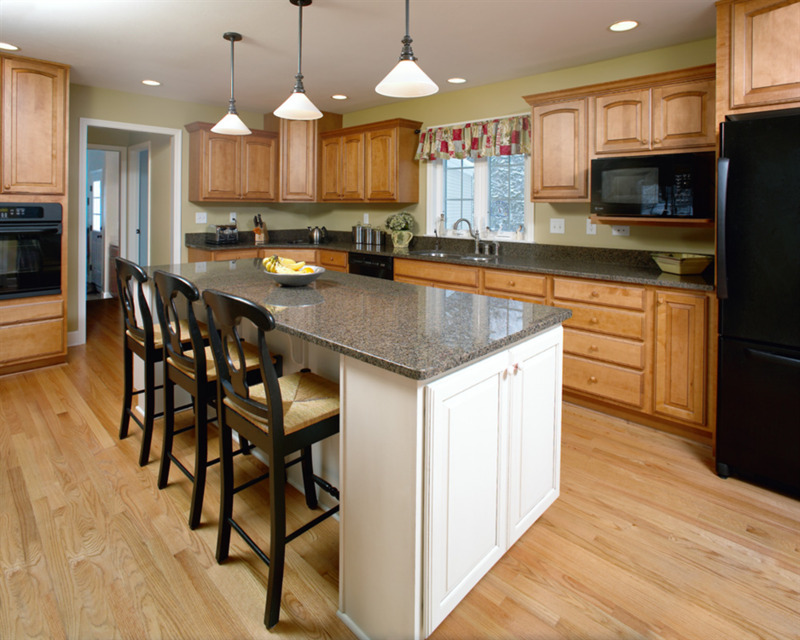 The kitchen is the center of activity in many homes. The large wall of cabinets serves as a command center concealing a telephone and compartments for family mail, calendars and cook books. 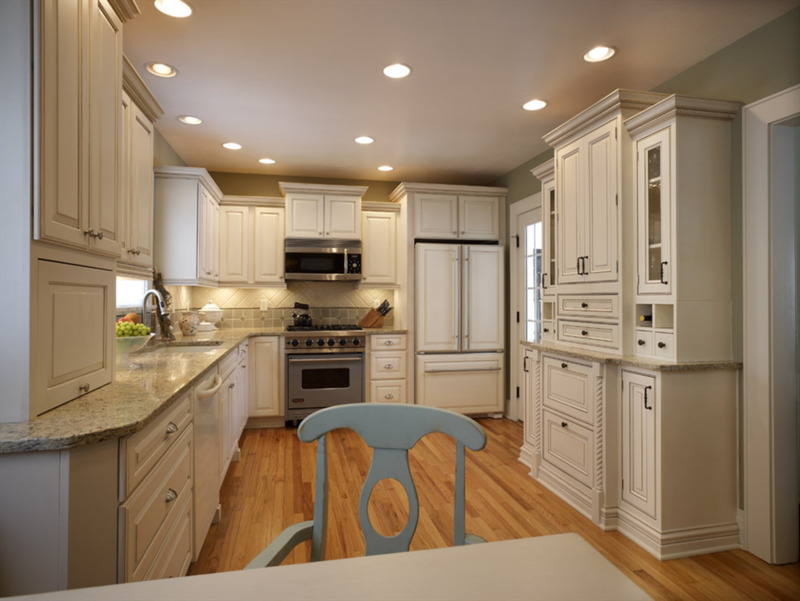 Painted cabinets and granite countertops make this space a bright gathering place for family fun and entertaining. 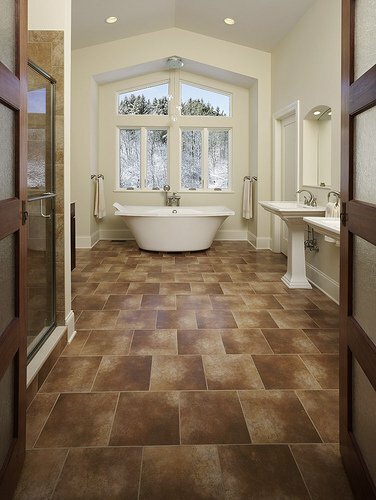 Cathedral ceilings, a wall of windows and large tile flooring make this showpiece bathroom appear large and spacious. The tub seems to be floating over the floor while large windows bring the outdoors inside. 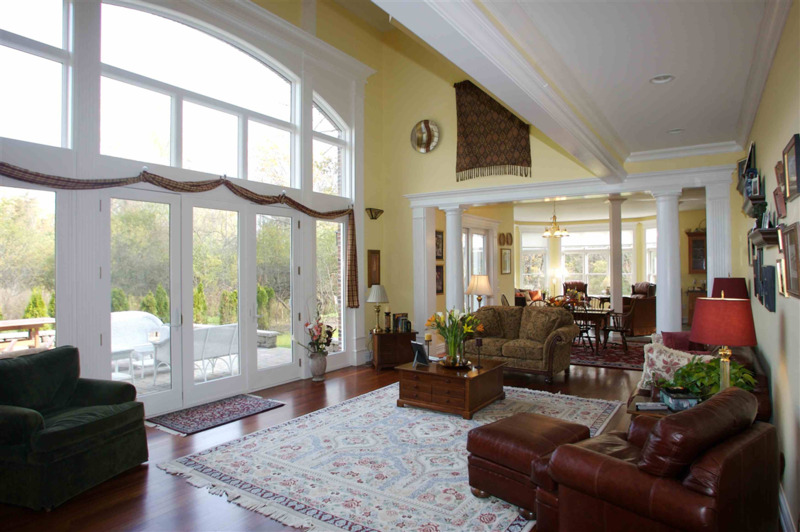 Custom arch-top windows were installed in this home adding a new architectural detail. Custom arched molding had to be made for these windows for the interior. This bar was designed to meet the guidelines given to us by the owner. 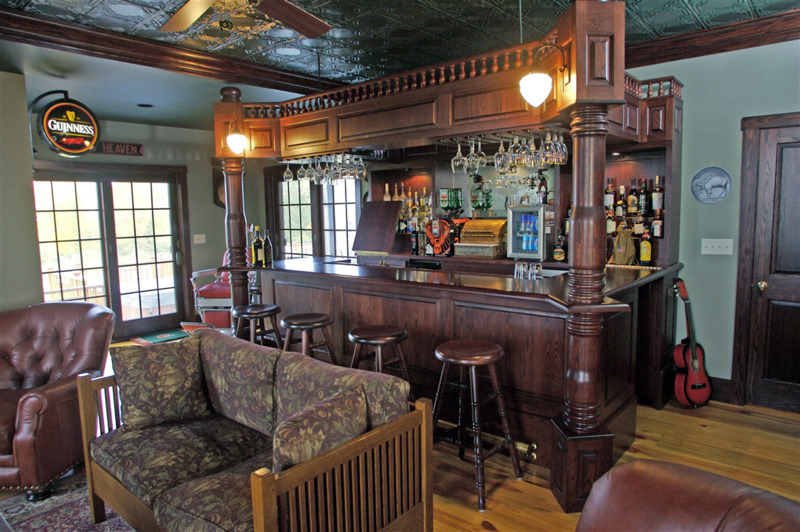 Some of the bars features include a sink, built in electric, a brass foot-rail, four large hand-turned columns and over 200 hand turned spindles on the top rail. The bar room also includes a tin ceiling with its own bathroom and pool room off to the sides. Painted custom bookshelves with adjustable shelving were built on each side of the gas fireplace. The mantle, which steps proud of the bookcases, draws the two together creating a dimensional look. 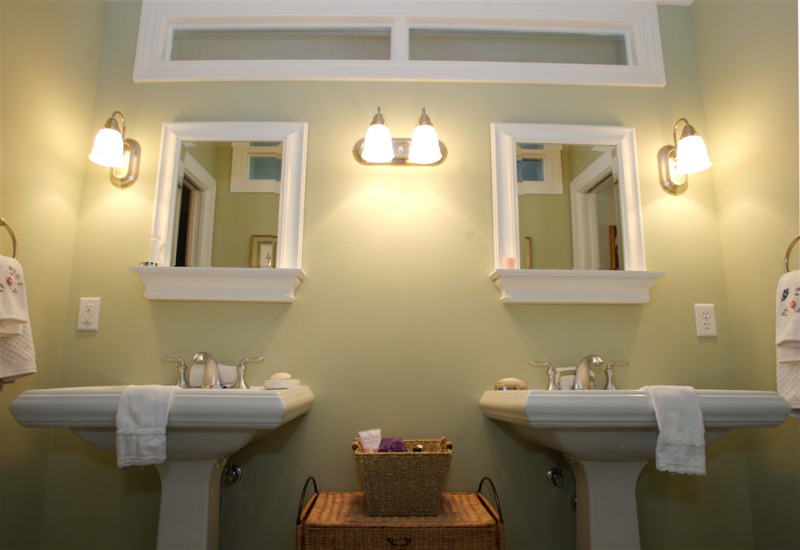 Twin pedestal sinks with matching bathroom hardware create a mirror image of each other in this Jack and Jill style bathroom linking two bedrooms. 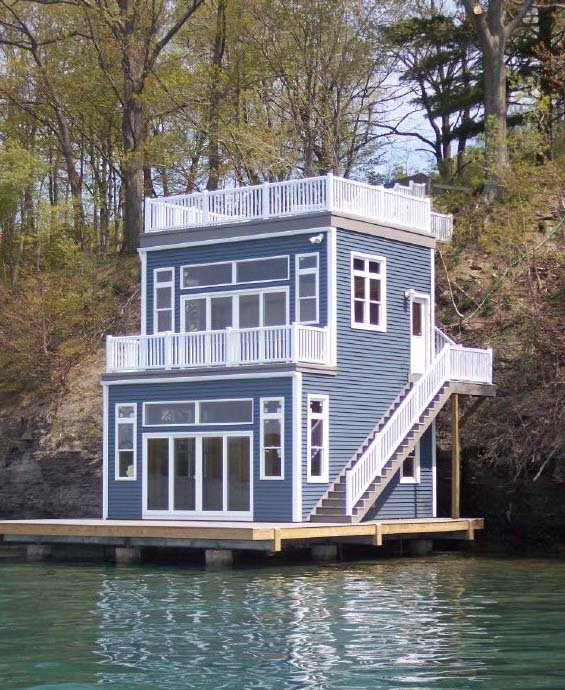 Located on Skaneateles Lake, this boathouse features vinyl siding and windows, two vinyl decks and a large first level deck/dock. 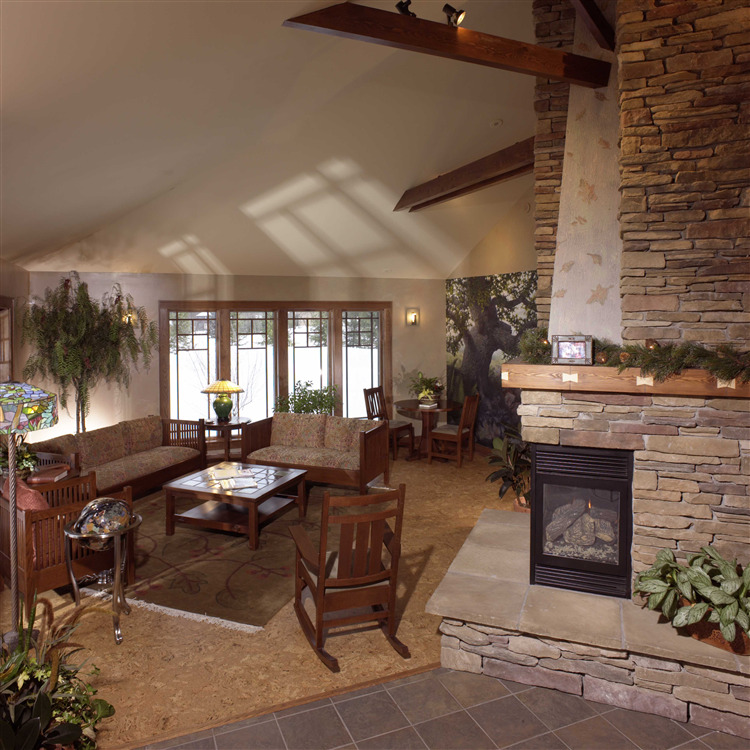 The waiting room of this dental office includes a three-sided gas fireplace surrounded with cultured stone, a cathedral ceiling, cork flooring, a handpainted mural of a forest scene and exposed wood beams. 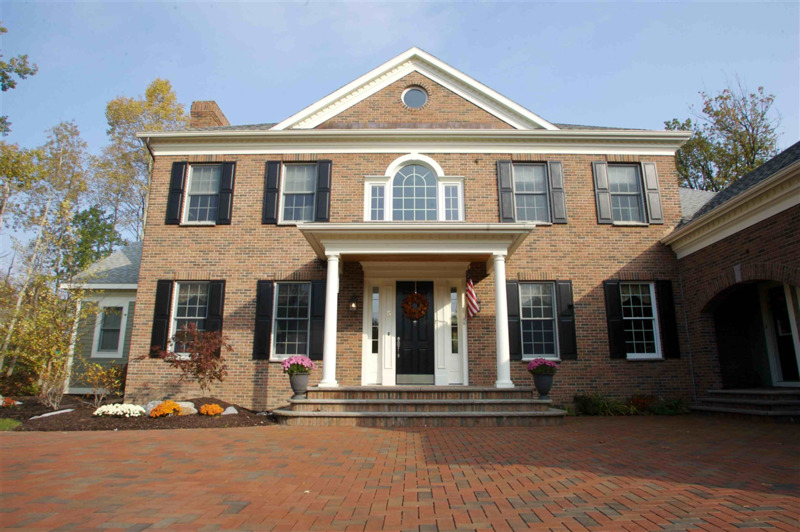 Brick siding was selected for this home with fiber-cement as the secondary material. Fiber cement siding is a durable, rot-free product. Dentil molding detail adds a touch of elegance to the crown molding of the home's fascia. The architectural details include a covered entryway with pillars, port-hole window, and a large, elegant palladium window.